Three colors & textures I'm very fond of, more here. Oh gosh, what a lovely place!! Are those marble counter tops?! 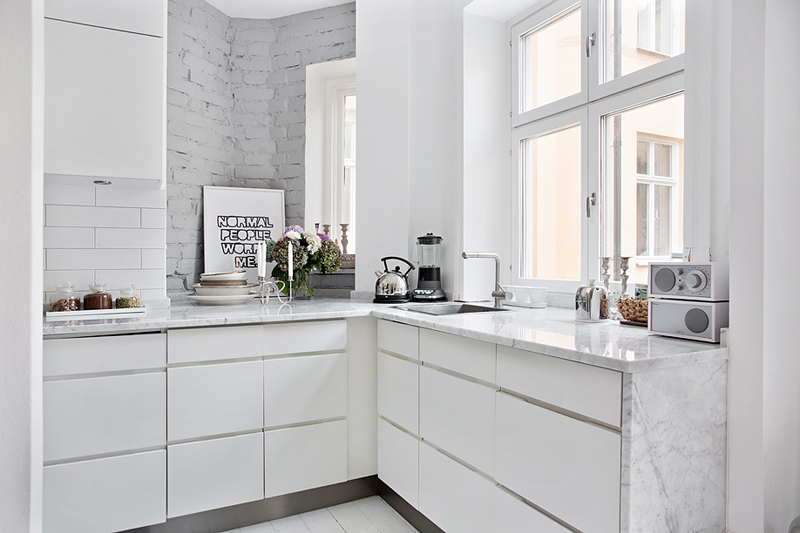 Lovely, I like the white cemented brick wall in the kitchen! 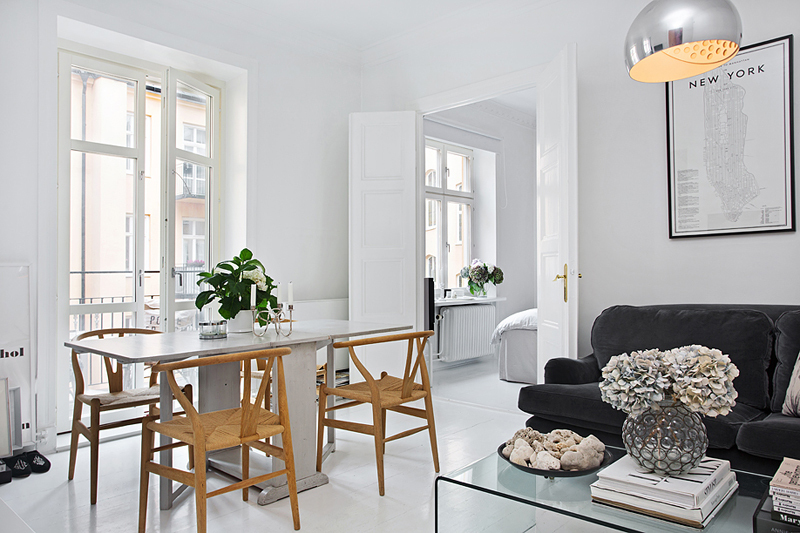 white walls, great light and modern furniture make me swoon every time. Absolutely gorgeous! oh, I think I've found my dream home. 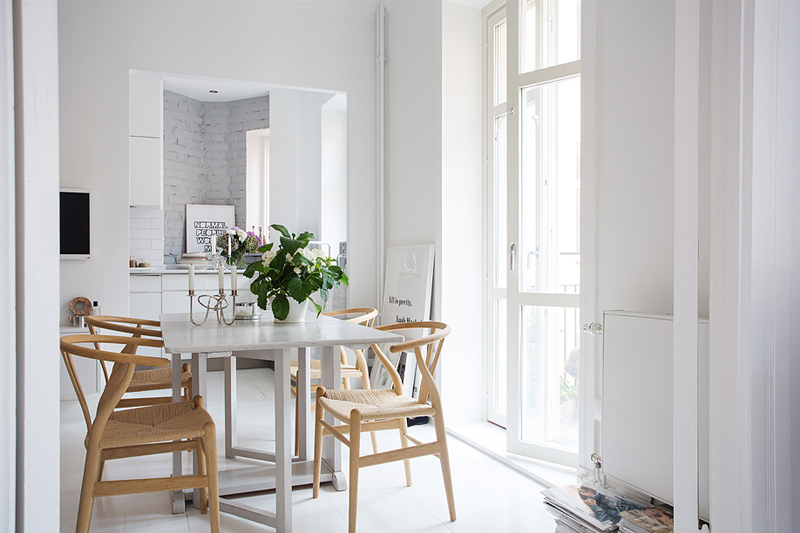 Just found your blog, recommended by Holly from Decor8 and I'm so thrilled. Love the kitchen, must have! where is that great couch from?